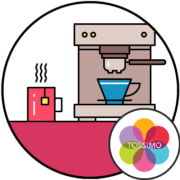 Ad-Rank were commissioned by Tassimo’s media agency to create and seed a PR worthy infographic that would generate PR buzz and build links for SEO benefit. Having researched available sources of data, Ad-Rank saw that is was possible to gather comparable datasets relating to London and New York’s coffee consumption. Before creating the infographic, we contacted some media outlets to see if there was an interest in the story we were creating. Having gained positive feedback, including that from Time Out London and New York, we knew that we would achieve good pick up with the right creative. We then set about planning the creative and, as both cities were renowned for their sky scrapers, it was clear that illustrating buildings as part of the background would lend itself well to a tall infographic. On completion we received excellent feedback and the infographic was shared by thousands of people, getting published across numerous blogs, including both Time Out London and New York.